15 m to Tel Aviv. The room is in our house, on the first floor. We are happy to be back in Israel after spending seven years in Singapore, we love hosting people in a laid back atmosphere. We go the extra mile to ensure our guests enjoy their stay in Israel. Our house is located in a quiet neighbourhood rich in parks and greenery. You will wake up to birds chirping. 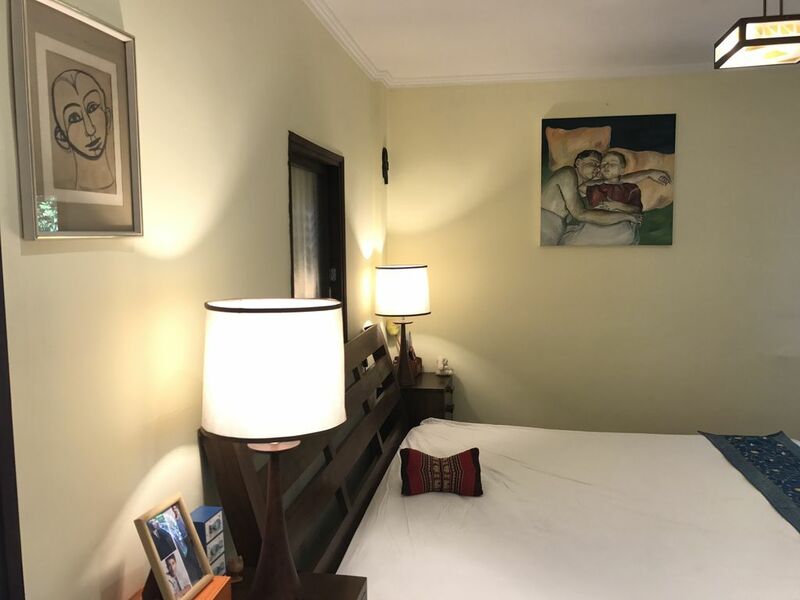 Space, a very comfortable Super King Size bed , High quality furniture and an artistic atmosphere will allow you a pleasant stay. We are always available to support with everything you may need. This bedroom is on the second floor in a family house. The area is quiet and well kept, with a public playground across the road. The town center is about 7 minutes walk on one direction, and at about the same walking time to the beautiful and spacious Herzliyah park, on the other direction. The room includes air condition, a very comfortable bed, an armchair, free wifi and a TV, plus some storage room for clothes etc. The rent includes a private full bathroom: bright, very clean and well equipped. The owners are nice, friendly and considerate. My total impression during the stay was very positive. One slight point, for people who need a desk+chair for work purposes I recommend asking for it in advance. Bottom line: an ideal place for a vacation stay. Dear Esti , thank you very much for your kind words .